A new Tails 1.3 has been released with support to a secure Bitcoin wallet. Tails, also known as the 'Amnesic Incognito Live System', is a free security-focused Debian-based Linux distribution, specially designed and optimized to preserve users' anonymity and privacy. Tails operating system came to light when the global surveillance whistleblower Edward Snowden said that he had used it in order to remain Anonymous and keep his communications hidden from the law enforcement authorities. Tails 1.3 offers new applications, updates to the Tor browser, and fixes a number of security vulnerabilities from previous releases of the software and specially introduces Electrum Bitcoin Wallet. 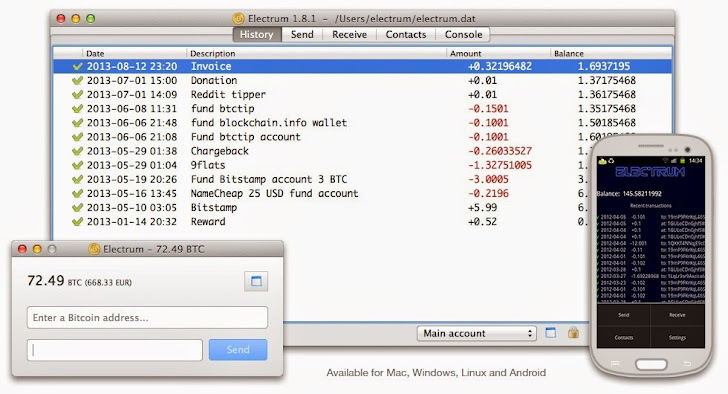 Electrum Bitcoin Wallet is one of the major changes Tails 1.3 received. Electrum is a new open-source and easy-to-use bitcoin wallet that protects you from losing Bitcoins in a backup mistake or computer failure. Bitcoin isn't completely anonymous, however, pseudonymous nature of Bitcoin gives it far more privacy than credit card transactions. Whereas, Electrum Bitcoin Wallet resolves this issue as it doesn’t download the bitcoin blockchain and the wallet can be recovered entirely from a passphrase, called seed. You can use your Bitcoin wallet from different devices, which allows you to avoid losing Bitcoins in case of backup mistakes or hardware failures. Tor Browser Bundle, a privacy oriented encrypted anonymizing web browser developed by the Tor Project, received an important update that brings enhanced security for both your personal data as well as the host operating system by restricting reads and writes to a limited number of folders. The recently released Tor Browser Bundle 4.0.4 is installed in the latest Tails 1.3, based on Mozilla Firefox 31.5.0 ESR. Tails 1.3 also added KeyRinger, an encrypted and distributed secret sharing software running from the command line. KeyRinger allows users to manage and share secrets with other people using the Git and OpenPGP technologies in a distributed manner. In addition, the obfs4 pluggable transport has also been implemented in Tails 1.3, which would allow users to connect to Tor bridges. Pluggable transports specifically transform the Tor traffic between the client and the bridge in order to mask Tor traffic from law enforcement agencies. The manual installation processes in Tails 1.3 no longer require users to invoke the isohybrid command on GNU/Linux or Mac OS X operating systems. This simplifies the entire installation process. The tap-to-click and two-finger scrolling trackpad settings are now enabled by default. Support for the Ibus Vietnamese input method has been added. Support for OpenPGP smartcards has been improved through the installation of GnuPG 2. You can download the latest version of Tails 1.3 via a direct download from Tails Website.